As designers and construction managers, we can help with everything from simple kitchen updates to additions and new-construction. We pride ourselves on designing and creating “magazine quality” spaces with a contemporary yet sophisticated flare, while keeping within your budget and timeframe. If you are thinking on building or renovating, but are not sure where to begin, check out our portfolio and contact us for a no-cost consultation. Serving clients throughout metropolitan Boston. 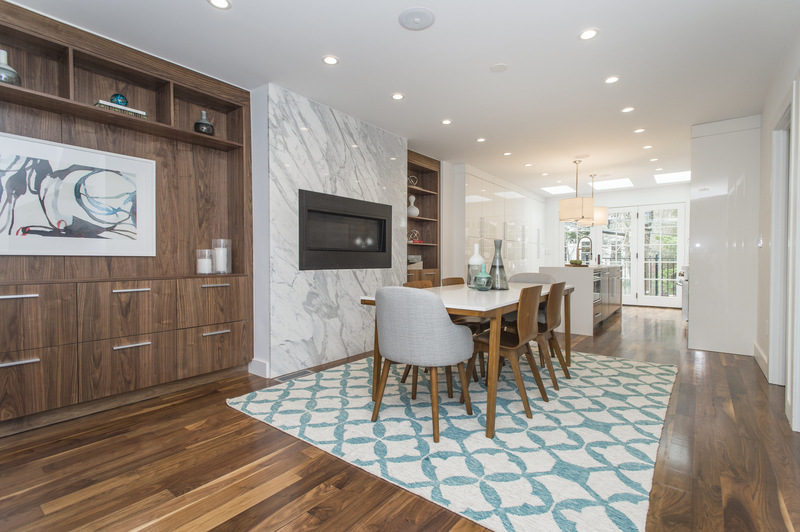 A modern living space in a traditional Bay Village townhouse featuring walnut flooring and matching custom built-in’s, juxtaposed by sleek white marble fireplace walls and white quartz waterfall kitchen countertops.